The Jawaharlal Nehru University Students' Union (JNUSU) has decided to go ahead with its plan to not mark their attendance as the administration insisted on introducing a mandatory attendance rule. 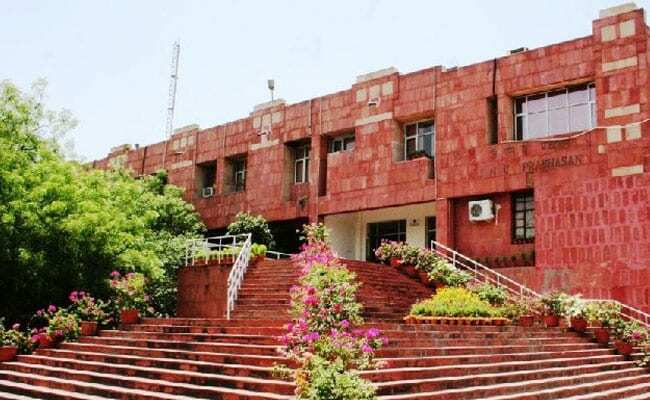 New Delhi: The Jawaharlal Nehru University Students' Union (JNUSU) has decided to go ahead with its plan to not mark their attendance as the administration insisted on introducing a mandatory attendance rule. During a meeting with the JNU vice chancellor this morning, JNUSU president Geeta Kumari said, "we explained to the administration how such a surveillance is going to curtail academic freedom and destroy JNU culture". "We explained how students of the campus attend lectures not just at classrooms, but also at dhabas and hostel mess. Learning is a 24X7 process for us. The VC, however, insisted on the adoption of compulsory attendance model of IITs," Geeta Kumari said, after submitting a memorandum with around 2,500 signatures. JNUSU joint secretary Shubhanshu Singh said that they have started campaign on the move in some classes. "Some professors are also taking part in the campaign," Shubhanshu Singh said. However, JNU Teachers' Association president Ayesha Kidwai said that the teachers body would decide its course of action at its General Body Meeting which is scheduled for January 10. The JNUSU had yesterday announced for boycott of attendance.